It was a bad day for the passengers in Agofure bus who were travelling from Ughelli in Delta to Port-Harcourt, Rivers state capital, have been attacked by gunmen. According to reports, the passengers were robbed and kidnapped by the gunmen who also shot the driver dead at Ndele axis of the East-West road in Rivers state. Report has it that only a lady with an injured leg was let go. 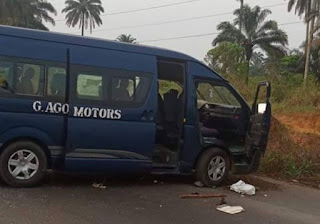 About 12 passengers were reportedly kidnapped. Just happening. 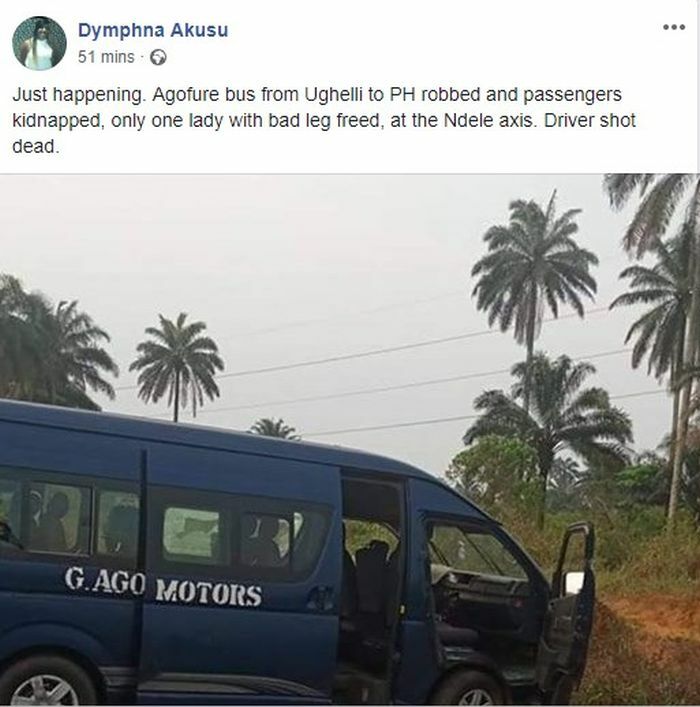 Agofure bus from Ughelli to PH robbed and passengers kidnapped, only one lady with bad leg freed, at the Ndele axis. Driver shot dead.